London- Yemen has lost a decade’s worth of gains in public health as a result of war and economic crisis, with an estimated 63,000 children dying last year of preventable causes often linked to malnutrition, the U.N. Children’s Fund (UNICEF) said on Tuesday. About 3.3 million people, including 2.2 million children, across the Arab peninsula’s poorest country are suffering from acute malnutrition, it said. They include nearly half a million children under the age of five with severe acute malnutrition. The most severe form of malnutrition leaves young children vulnerable to life-threatening but preventable diarrheal diseases, malaria and respiratory infections. 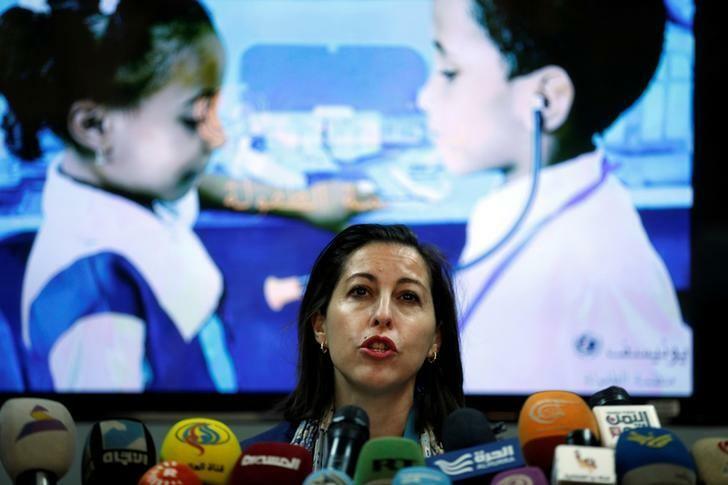 “What worries us is the severe acute malnutrition because it is killing children,” Meritxell Relano, UNICEF representative in Yemen, told Reuters in Geneva. “Because of the crumbling health system, the conflict and economic crisis, we have gone back to 10 years ago. A decade has been lost in health gains,” she said, with 63 out of every 1,000 live births now dying before their fifth birthday against 53 children in 2014. Releno also said that the rate of severe acute malnutrition had “tripled” between 2014 and 2016 to 460,000 children. “The under-5 mortality rate has increased to the point that we estimate that in 2016 at least 10,000 more children died of preventable diseases,” she said. Children and pregnant and lactating women are most heavily affected by the malnutrition crisis in the northern province of Saada, in the coastal area of Hodeida and in Taiz in the south, she said. UNICEF mobile teams aim to screen more children and reach 323,000 severely malnourished children this year, up from 237,000 last year, Relano said, adding that partner agencies would target the rest. UNICEF is seeking $236.5 million for Yemen this year, as part of its overall appeal of $3.3 billion to help women and children in 48 countries.